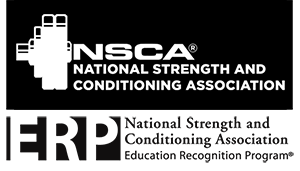 The National Strength and Conditioning Association (www.nsca.com) is one of the largest professional organizations devoted to areas related to Exercise Science, Sport Science and Human Performance. The NSCA offers a wide variety of programs and certifications that help students develop professionally. Student membership for the NSCA costs $65/year and provides access to all of their publications including the Journal of Strength and Conditioning Research and Strength and Conditioning Journal in addition to receiving cost reductions for attending conferences and taking certification exams. Simply registering for an exam or attending one conference can oftentimes cover the costs of a one-year membership. In addition, the NSCA offers a series of scholarships and grants to undergraduate and graduate students. Lindenwood University students in both the undergraduate Exercise Science and graduate Human Performance programs are eligible to apply for and receive grants and scholarship that help offset costs of school, attending a conference or conducting their own research and scholarly development. More information about NSCA scholarships and grants can be found at http://www.nsca.com/Foundation/. For more information on these grants and scholarships, students are encouraged to contact Dr. Kerksick at ckerksick@lindenwood.edu.